My state (Missouri) has proposed legislation that mirrors education reforms many states have enacted in the last few years. House Bill 365, the "Student Accountability Act," aims to ensure college readiness for high school graduates by requiring that any student receiving a high school diploma in Missouri pass at least one of the recognized measures (ASVAB, GED, ACT, Compass, or an exit exam administered by the school that assesses math, communication arts, social sciences, and science). While I'm sure there will be lots of discussion for the impact this has on high school classrooms and high school students, my interests as a community college instructor who teaches developmental classes is on how this will impact college students. Every public institution of higher education shall recognize the high school academic diploma as sufficient for a student to be placed in the first college-level course of mathematics and English composition that is recognized for the forty-two-hour general education core requirements. Right now, students entering community colleges in Missouri (which are open access and accept students regardless of previous grades or test scores) have to take a placement exam. 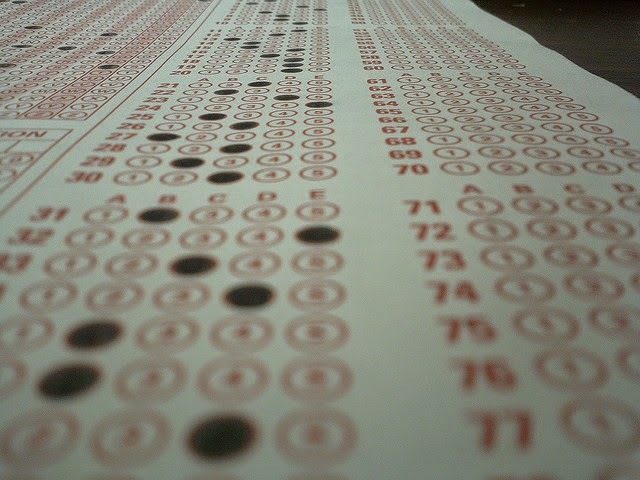 Many colleges use the COMPASS exam. Based on those scores, students are placed into either college-level, credit-bearing courses or developmental education courses which carry no credit but are a prerequisite for the credit-level ones. For many of the disciplines, there are multiple levels of developmental education. Students could test one, two, or up to three levels below college-credit level courses, requiring an equal number of semesters of remediation before moving on to the course they need for their degree goals. Most DevEd students test into multiple disciplines of developmental education, so it is very typical for a student to need two levels of developmental math, two levels of developmental English, and two levels of developmental reading. In addition, some schools require developmental students to take college readiness courses. That means students could be taking 6-8 (18-24 credit hours) of courses that don't count for their degree. Whether those classes are necessary is a big point of debate. Without a doubt, many students are entering college classrooms without college-level skills. They need to get those skills to avoid failing the credit-level classes. This is what DevEd is designed to do. But, for the most part, it's not doing its job. Nationally, the completion rates for students who start in DevEd coursework are staggeringly low. Less than 25% of students taking remedial coursework earn a degree (a "two-year" degree) within eight years. At some schools, that number is much, much lower. And students requiring remedial courses are statistically much more likely to be minority or low-income students, so issues of race and class come into play as well. All of these compounding issues have led many of the educational reforms to target DevEd, just as Missouri HB365 does. If this bill passes as written, point 5 means that students entering the community college with a high school diploma would no longer be required to take remedial coursework regardless of their test scores (and since the bill only requires test scores after eighth grade, they might be getting into college based on test scores from their freshman year of high school, scores that might not be representative of their current abilities at higher performance levels). I have a lot of opinions about this, and while I don't think that legislative measures are the best way to get reform, I agree with a lot of the principles behind moving students through developmental education more effectively and quickly. Regardless of my personal opinion on the matter (though if you want that, you can get it here, here, here, and here), I'm interested in cataloging some of these legislative measures and the subsequent college-level responses. Beginning in 2011, Arkansas enacted legislation (with HB 1454) that regulates the reporting on remedial coursework and has since been expanded to include recommended test score levels for supplemental instruction (co-requisite courses where students take developmental coursework while enrolled in college-level courses). In 2013, the Colorado Commission on Higher Education established guidelines for higher education institutions regarding funding and implementation of developmental education courses. One of the elements of this mandate is that students should complete all remedial requirements within one year of enrollment. It also requires supplemental (co-requisite) remedial coursework and reports on these courses sent to the Commission. It also grants some students (like those who are non-degree seeking or co-enrolled in high school) exemptions, but it does not go as far as many of the other legislative measures. Public Act 12-40 mandated state-level redesign of developmental education courses beginning in 2014. This act focuses on a tiered approach to remedial education that encourages embedded-level support (co-requisite courses). At most, it allows a single semester of developmental instruction before moving on to the college-level work. Florida's Senate Bill 1720 garnered a lot of attention upon its passage in 2013 and is largely seen as the most extreme developmental education legislation to date. This bill mandated that any student receiving a high school diploma from an accredited state high school in the past decade could choose to waive any remedial coursework requirement and enter directly into college-level courses. This is colloquially known as a "Right to Fail" measure. In 2010, Senate Bill 7006 (known as the Complete College Tennessee Act or CCTA) was passed. This legislation banned four-year colleges from offering remedial or developmental coursework at all. Two-year colleges are still allowed to offer the courses and partnerships have formed between two-year and four-year institutions to deliver the courses. There have been other legislative demands placed on developmental education and even more states (including West Virginia, Ohio, Virginia, California, and Texas) where remedial coursework has become a target for reform through a variety of methods. There is a current student-led push for reform in Minnesota. Some states have given flexibility where schools can experiment with different delivery methods. In others, existing systems surrounding financial aid and the credit hour system make experimentation more difficult. Reactions depend largely on the rigidity and extremity of the legislation enacted. In Connecticut, for example, the legislation did not completely remove remedial education and instead limited it to a single semester. There, educators now take the tiered approach outlined in PA 12-40, which has had a major impact on the way that the schools deliver remedial content. The three levels are 1) embedded (co-enrollment with college level course) 2) intensive (one semester of remediation) and 3) transitional (students below 8th grade level who work with adult education programs to improve skills. A thorough exploration of the students admitted and the impact of these tiers through a pilot program is available here. In general, it found that intensive and embedded programs were successful in English but less successful in math. As the most extreme measure (completely removing remedial coursework requirements for students with a high school diploma), Florida has fewer options for experimentation. Most of the discussion of Florida's response to this broad-reaching legislative measure has focused on how important advising became to help students make an informed choice about which classes they'd take. Many educators have internalized the mantra of "Students Don't Do Optional," however, and this legislation essentially removed the school's power to require any remedial instruction that a student doesn't want. Since these changes in Florida were only implemented in Fall 2014, there hasn't been a lot of data released about their impact yet, but this article outlines some of the opportunities these changes present, including more intensive and tailored tutoring and supplemental instruction to students enrolled in credit-level courses (regardless of their test scores). Acceleration: Most legislative measures are addressing the sheer amount of time (and, therefore, money) that students tend to spend in remedial education. Acceleration models aim to shorten this time through a variety of measures. Co-enrollment: If students co-enroll in developmental courses and credit-level courses, they finish the courses faster (but the cost is often the same since they pay for both courses). Integration: Some colleges (like Chabot in California or the Community College of Denver's Fast Start program) have combined different levels of reading and writing courses into shorter sequences with fewer credit hours, reducing the time and cost. Learning Communities: Learning communities have been used to address several educational concerns, and some legislation and suggested frameworks for developmental education list learning communities as a way to help students build community and support systems to increase success rates. College-level Enrollment with Increased Support: Some colleges (especially those where legislation no longer allows compulsory remedial coursework) have worked to add more tutoring and support services for students enrolled in college-level courses. Missouri's HB 365 may not pass at all, and if it does it may undergo changes, but since its current form is focused primarily on high school regulations and the college-level implications are only a side effect, I doubt that future changes to the wording will allow for more flexibility in developmental education delivery rather than eliminating it. I believe that developmental education needs to change--drastically. The flurry of legislative action surrounding DevEd is focused on the disappointing statistics for completion rates and connects them with taxpayer investments and high school performance rates. Even if this bill doesn't pass, it seems clear that the cultural tide is turning on developmental education delivery, and I suspect that changes will be mandated in one way or another soon. A lot of these experiments are still in the early stages, and we should be watching with interest to see if there are any rays of hope for long-term improvement because the primary goal (in the sea of discussion of taxpayer cost and throwing blame for failures) should be to make sure that we're meeting our goal of making educational attainment a reality for everyone. What Does "Adulthood" Look Like These Days? Panera's "One-Hour Rule" For Who?